Drinking a (healthyish) Mango lassi to cool off on a nice summer day! Quick, Easy, Simple. Mango, greek yogurt, almond milk, honey, and cardamom all blended together! Click follow and hit the like button to keep updated on new recipes! Happy Wednesday everyone! It’s super gloomy here on the east coast. I thought all of these showers were supposed to happen in April, not May…”April showers bring May flowers” Anywho, this recipe on Roasted Cauliflower & Freekeh Salad provides wonderful flavors to make up for the gloomy weather! A friend of mine is subscribed to Blue Apron and had the privilege to send free boxes to friends. Luckily, I snagged one! Although this is my first time trying any subscription meal delivery kit, I had mixed thoughts on it. However, this blog isn’t a review but I will provide my thoughts and opinions at the end of this post. Roasted Cauliflower & Freekeh Salad provides such an abundance of flavor and Middle Eastern/Mediterranean taste, it truly was one of my favorite dishes by far. It only takes about 40 minutes to make and is very healthy! Let’s get started! To prepare and roast the cauliflower, heat a medium pot of salted water to boiling on high heat. Preheat the oven to 450 degrees F.
Wash and dry the cauliflower and cut off and discard the stem end and leaves. Cut the head into 1 inch thick slices and then place on a baking tray. Season with salt or pepper to taste. Roast in the oven for 25-30 minutes then remove from oven when tender and then set aside. To prepare the freekeh, bring a pot of water to boil on high heat. Add the freekeh and cook for 25 minutes until tender. Drain any excess water and set aside. While the freekeh is cooking, prepare the tahini dressing. In a bowl, combine the tahini spice blend, juice of 1 lemon wedge, 3 tbsp of water, and a dash of olive oil. Whisk until smooth. In another bowl, combine the yogurt, juice of 1 lemon wedge, as much garlic as you’d like, and a dash of olive oil. Whisk until smooth. To the pot of cooked freekeh, add the sliced cucumber, dates, almonds, and half the parsley, and juice of the remaining lemon wedges. To plate your dish: spread some yogurt sauce into a thin layer on the plate. Top with the finished freekeh and roasted cauliflower. Garnish with half of the tahini dressing and remaining parsley. This recipe is supposed to serve 2 but I had probably 4 servings of freekeh leftover. With Blue Apron, everything comes packaged for you, so I found it difficult if I wanted a little bit more of something such as lemon or tahini. This recipe is supposed to take 30 minutes to cook, however it took me a little less than an hour. Nonetheless, its very delicious and very healthy! It’s very easy to find these ingredients in your local grocery store. This recipe is perfect for dinner or a weekend lunch. I can’t tell you enough on how delicious all of the flavors are! Go ahead and make Roasted Cauliflower & Freekeh Salad right now!! 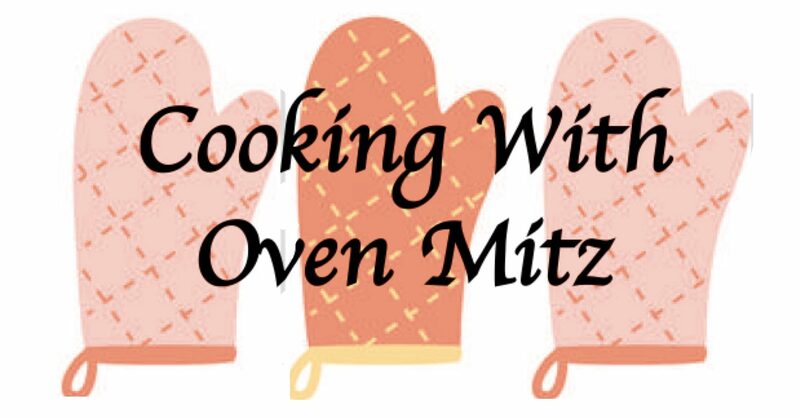 Tag me on Instagram, @cookingwithovenmitz, if you do make it. I would love to see your version of it. Click follow and hit the like button to keep updated on new recipes! Bela is a herb-infused wellness drink that has 0️⃣ calories, 0️⃣ sugar, 0️⃣ caffeine, is GF, Non-GMO, and Vegan! The Harmony Mixed Pack includes the Elegant Tropical and Unsweetened flavors- both of which taste delicious. They just launched their online store and offer 20% off and free shipping with promo code BELA20‪ - offer expires April 15th‼️ Wholesale customers nationwide (contiguous states), and anyone interested can DM or email info@drinkbela.com for more information.